With the Wille sand spreader, you can spread just the right amount of sand and ensure a smooth sand layer. The agitator shaft inside the tank prevents sand from hardening inside the tank and ensures smooth feeding of sand to the feeder drum. The spring-loaded thick rubber plate against the feeder drum ensures that only the desired amount of sand drips from the tank. 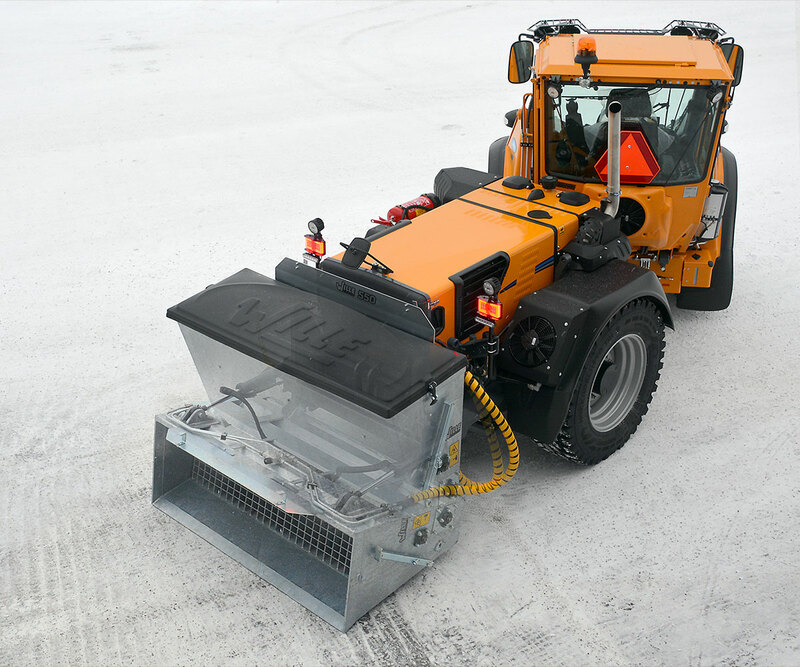 A cradle guard prevents large stones and ice from dropping inside the sand spreader. The bearings are placed outside the tank, which makes it easier to service them and lengthens their service life. The sand spreader in the rear of Wille requires a rear lift or rear tilting device, allowing it to be filled by backing into a heap.